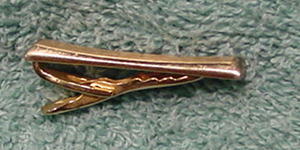 This vintage gold-tone tie clip is slightly concave in the center. 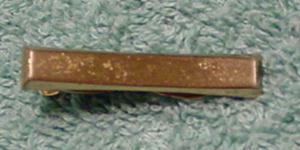 Hickok USA is etched on the back. The center dark area is a shadow.